Cory Martinez graduated from Wilson in 2014. 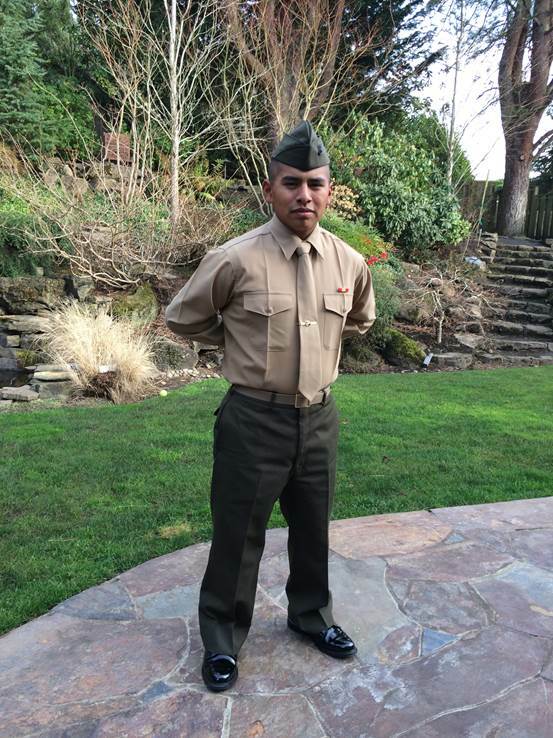 He recently graduated from the U.S. Marine Corps boot camp on January 9, 2015. He is now a Marine in combat training at Camp Pendleton, California. He’ll go from there to Camp Lejeune, North Carolina for training as a Combat Engineer. He is in the Reserves program. Once his training is finished in Spring 2015, he’ll be stationed in Portland. He is planning to attend Portland Community College in the University transfer program.